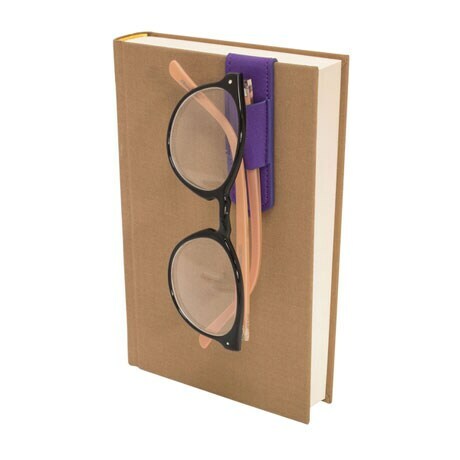 When you're absorbed in a good book, who has time to go hunting for reading glasses? 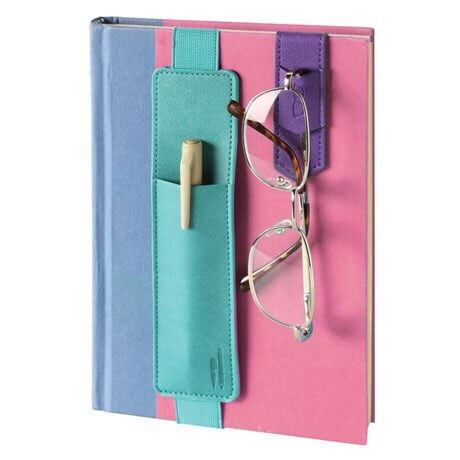 This brightly colored accessory attaches right to your book! 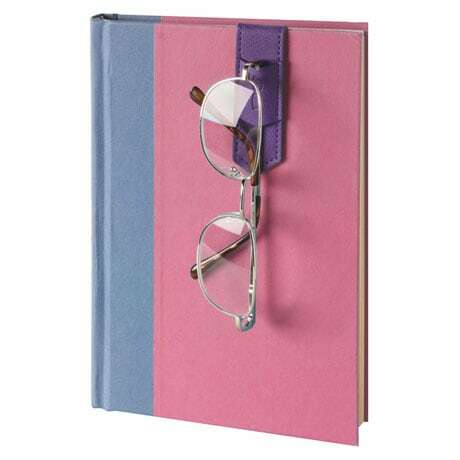 The 3"x1" purple Magnetic Glasses Hanger clips neatly over the top edge of your book cover, with a snug band through which to slide the temple of your glasses. 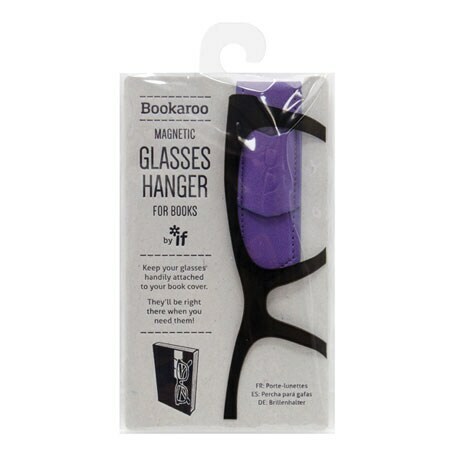 How convenient!